Mrs Malutaj, from Puka, Albania, is an enthusiastic member of the local Beekeepers' Association supported by Transrural. Transrural Trust volunteer Anthony Lyman Dixon advises members of the Puka Herb Association how best to develop their demonstration herb farm, Qerez, northern Albania. Father and daughter in their apiary, Gjakova, Kosova. Her husband and brother were both brutally murdered in their own homes during the 1999 conflict. Severely depressed, beekeeping is the only activity which brings her some relief. Beekeeping accounts for the major part of the income of hundreds of thousands of families in Albania and Kosovo. The area is good for beekeeping. Forage is excellent and summers hot and dry. Honey is highly valued, especially for children, demand is good and prices high. In areas where agriculture has been disrupted - in Albania because of the collapse of state support during the 1990's, in Kosovo because of the 1999 conflict - beekeeping and especially honey production offer quick returns compared with keeping cattle or growing arable crops. In the Kosovo/Albania border region, people were in any case nervous about using the fields or forests because of the danger of setting off landmines. Until the mine clearance operation was completed, beekeeping offered a safer alternative. 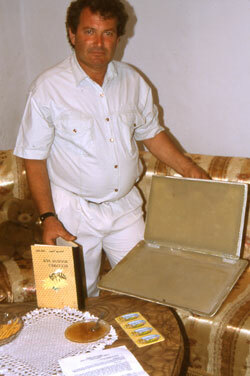 Since the 1990's beekeepers in both countries have experienced problems and seen their income from beekeeping decline. In Albania , the problem post-communism is one of access to supplies and to up-to-date information on disease prevention. In Kosovo, it is bound up with the 1999 conflict, when over 70% of hives were destroyed, a devastating loss for families poor by international standards. A decade of suppression, when Kosovar Albanians were not allowed to form groups - even beekeeper associations - had further weakened the sector. Invited to work with beekeepers' associations at both regional and national level in both countries throughout the last decade, Transrural has helped them to bring about a resurgence in beekeeping in the region, to the benefit of six hundred rural families. Although beekeepers prefer to operate individually, their associations thrive because, of all rural sectors, issues such as control of bee disease and honey quality can only be solved by co-ordinated action. Together we implemented a series of initiatives, which have the potential for replication across the whole of the Balkans. Associations co-ordinated disease control measures to prevent infected colonies spreading viruses and mites. 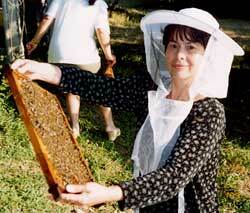 Experienced beekeepers provided training and advice - and "free bees" - to beginners. People clubbed together to transport their hives to good locations. 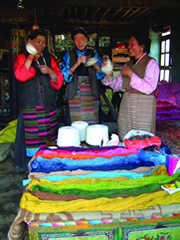 Committees organised Honey Shows and members competed enthusiastically for prizes. Several associations negotiated the use of a spare room in a school or government building and equipped them as workshops for the construction and repair of hives and frames. Women - with priority to widows in Kosova - were given encouragement to start beekeeping on their own account; wives not directly involved in beekeeping sewed protective clothing and veils and helped with extracting and bottling. Associations bought jars and labels to replace the old lemonade bottles previously used. In the more remote rural districts beekeeping was still carried out using traditional wooden "box" hives. It's difficult to manage such colonies without losing the bees in the winter and so Transrural supported a scheme to provide two hives per family to those wanting to change to the modern system. We had not foreseen one remarkable outcome: the therapeutic effect of working with bees. Men and women traumatised by the war in Kosovo commented that working with bees helped to soothe their minds, introducing them to the highly organised and ordered social world of the honeybee, a stark contrast to the chaos of conflict.